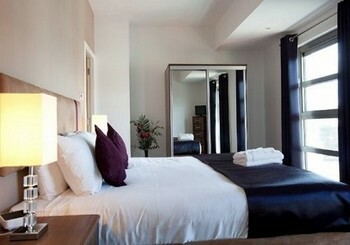 If you are thinking about renting a self-catering holiday apartment or flat in Glasgow then look no further. Reserve Apartments offer a wide variety of accommodation options to accommodate groups of all sizes from couples to family gatherings for a short or long stay. Hotels where you have to plan your days around when breakfast and dinner will be ready aren’t your only option when visiting Glasgow. Spoil yourself and sample a piece of traditional UK luxury with an exclusive stay at one of our Glasgow luxury apartments. With a different variety of amenities available at each including WiFi, Washing Machine & Dryer, Gym Equipment as well as a balcony or roof terrace our apartments will make sure you have a comfortable option in your price range, no matter which part of the city you want to explore. Free to enter, the gallery features 22 individually-themed, refurbished galleries with a wide range of internationally famous collections. This museum is another free-to-enter attraction that’s home to 3000 art and history objects, including classic cars, bicycles, skateboards, prams and trains. Adjacent to Glasgow Cathedral, this beautiful Victorian cemetery is a place of wondrous architecture and sculpture that’s steeped in history. About 50,000 burials have happened here and there are about 3,500 tombs to see. With a dominant position in George Square, Glasgow City Chambers, established in 1888, is one of the most impressive buildings symbolising history and government and being the seat of Glasgow City Council. Set in an amazingly modern and impressive building that’s a sight to behold in itself, the Glasgow Science Centre has a range of interactive displays with various activities for everyone in the family to get involved in. Scotland’s national stadium and home of the Scottish Football Association, Hampden is situated in the Mount Florida area of Glasgow and has seen some of the world’s finest footballing moments at club, national, and international level. 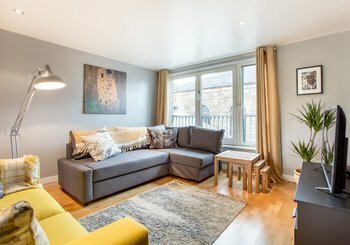 Reserve Apartments offers a diverse range of rentals in locations across the city and its outskirts for your visit to Glasgow. With our wide variety of holiday apartments you can choose from a range of holiday options including a long or short stay such as a romantic weekend or a family break. When it comes time to book your holiday accommodation, opt for the luxury option with Reserve Apartments for an unforgettable time away with friends or family.